Uncertainty over Social Security: Seniors in Kwilu Province May Be Calling for Advocacy? Social security services must be inherent to human well-being and parts of public sector perspectives. However, it depends on how people had worked as well as mechanisms of anticipating disabilities or old age. The article is not the lesson of how to establish pension schemes; though it reminds the necessity of not falling into same mistakes as it happens in the past in DRC. The article calls upon your voice to prevent people working until their 80s while it was possible; through wealth redistribution, to support them as they are too weak physically for having worked hard in the past. The story is about old mums working into peanuts ‘industry’ in Kwilu Province. Kwilu is one of the four sliced provinces of the former Bandundu that might be the backbone of the later in terms of agricultural production. These mums are roughly between 55-75 years and even hardly speak Lingala. One of them tried to talk to me in French and she told me she is 58. I realized that she might have dropped from her school due to what informed people know. Wherever a presence or gathering of these mums can be perceived, it raises unquestionably thousands of worries for someone who is mentally normal. This is how I went on discussing with them because I found myself in unrest of seeing old mothers sitting in one place as if they came for consolation gathering. As it looks likely confusing, I asked one of the young guys who were around of what is happening. He told me, they came to work on the groundnuts ‘industry’ by simply arranging peanuts form the peeler machine. The peeler machines peel the groundnuts while few of these can be broken. For streamlining the final products that may be easily sold on the market, it requires a work of people who have the mission of removing the non-peeled or broken peanuts from the well shucked. This is the hard job you ever came across as it gives fatigue as it requires to bend yourself. One of these mums who couldn’t recognize her precise age told me, “musala yango epesaki pasi na masoko pe na mukongo”. Seemingly, the previous sentence in Lingala tells a lot for everyone who understands how difficult is to work in farming, especially when you are around 60 years old. Imagine that some mothers came with their babies who have to spent the whole day waiting the $0.54! What is clear, these elder mums have been working since their early age. Unfortunately, the socio-economic environment had contravened to plan for their safe future. Though it’s hard to precisely count mathematically the work did by these mums; myself I would unlikely get convinced that lacking mathematical counts can explain the style in which they have to live these days. The choking feature of this story lies in how they get paid. During the process of peeling peanuts, some may escape or being broken into parts. As the owners of these peanuts are required to sell them in a good conditions, they recruit these respected elders to help them arranging. They can only be paid as long as they work; that is, these broken peanuts or unpeeled constitute the daily salary. 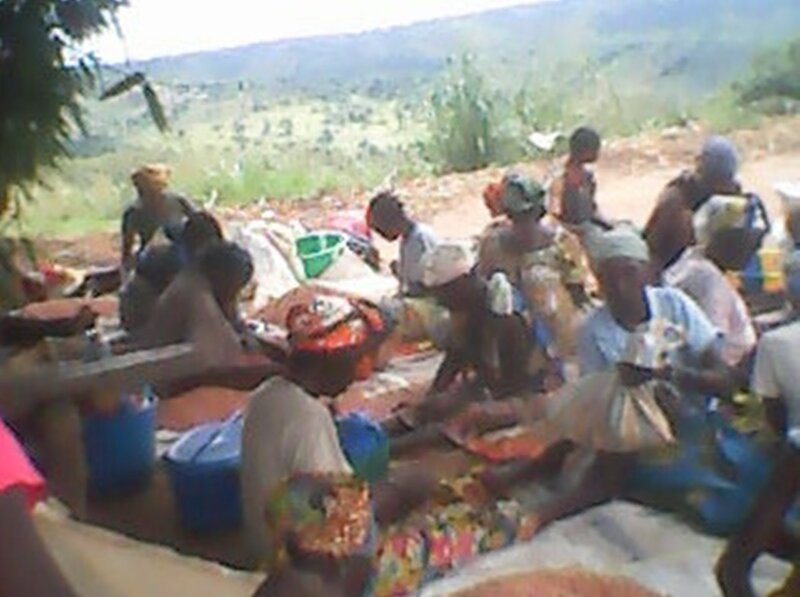 These broken peanuts are then purchased for these mums to have something else for their daily needs. Based on their statement, it’s possible to collect roughly a small amount of the broken peanuts that may cost between 500-800 Congolese Francs per day. Consequently, the daily salary lies between $0.54-0.87 when estimated in terms of poverty line dollars. It sounds likely as much as compared to the socio-economic context of DRC. However, it is also important to take into account the strength of these elders when estimating the cost of their work. Strikingly, their employers were seemingly confident of being so helpful to them. I tried to discuss with them, to understand the leitmotiv of such remuneration. 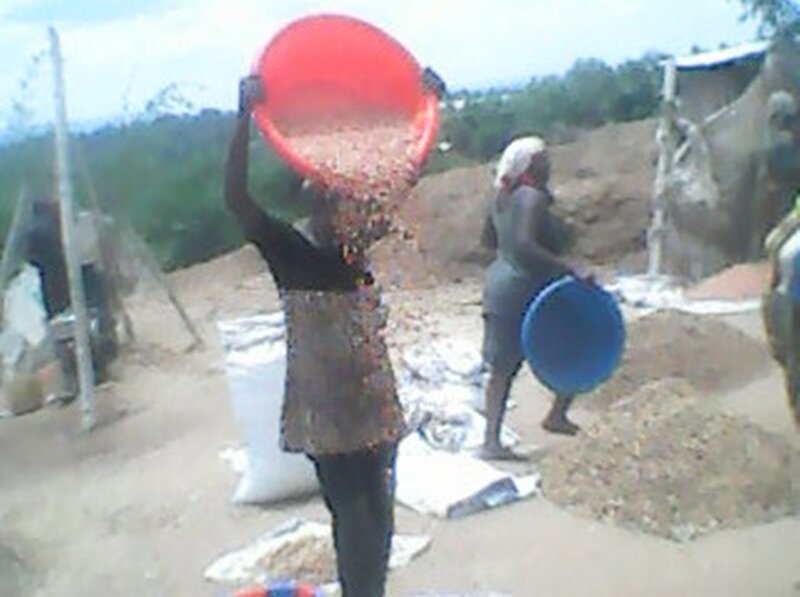 She referred to commercial chain of peanuts and how they seem less benefiting as compared to their clients who came to purchase groundnuts in the region. That is probably an economic explanation that falls into capitalism system where competition and benefits are likely determinant components of economic activities. The chain in itself is somewhat complex, as it turns until making all consumers when buying vegetable oil from Angola or elsewhere. That is my guess, because the large part of these products ends by being processed probably in Angola; then sold back in DRC, unless, information that I had is diluted. 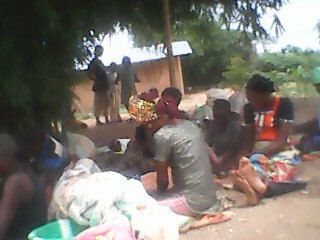 The reader may question on how would processing peanuts in DRC affect the employment of family members of these seniors? The question looks complicated to answer; even though it forms parts and parcel of solving the concern of making elders through social & family networks and connections. 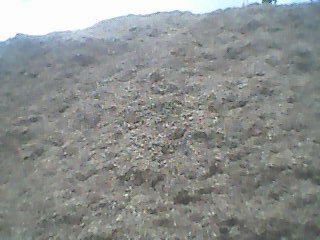 Additionally, nearby their work, there is a huge amount of shells that may constitute a source of money for the interest of waste management. In this specific context, shells are simply thrown away to the extent they will likely become dusts that in long can affect human lives. Though there are different possibilities of recycling wastes, it seemed that the way peanuts’ shells are thrown away can’t give confidence regarding a clear mechanism of their future use. Nonetheless, one of my friends from Japanese Cooperation told me few years ago, that they were looking for quantities of peanuts’ shells to create organic fertilizers that may be even imported in different countries. 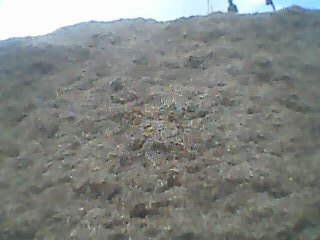 I wondered if these shells can’t be well managed to support chemical fertilizers used into Agro-industry parks like Bukanga Lonzo. It calls for an advocacy from anyone who has connections. The processing of these shells can lead to a better way of solving the mums’ working conditions as part of funds from the processing can fund seniors association or cooperatives as well as social supports. Moreover, when advocating for the better use of the shells, never forget that the latter matter less as did seniors working into the peanut industry in Kwilu. It may have been late to have these mums treated as did others all around (please try to check how seniors are treated in different contexts). By comparison, I tend to convince myself that the better treatment is not based on hard working productivity and production; it is rather related to the establishment of socio-economic responsible and accountable institutions. Nevertheless, if we can agree that right now there is nothing to do to have Kwilu’ seniors well treated (an argument that convinces slightly), there is a possibility at least to establish mechanisms to prevent this to happen again in the future. Don’t you think that 60 years ahead DRC may be having a large number of people, especially mums living in such situations? You need to voice for the better treatment as did others. Previous PostKinshasa sous le Calmant : Le Rôle des Eglises de Réveil ?Next PostRessortissants & Refugies Congolais au Burundi: La Communauté Internationale Faillira-t-elle en sa Mission?